Should I Cover My Camper Trailer with a Tarp? Not everyone can afford to store their campers, trailers, or motorhomes in a climate-controlled facility or even an indoor storage area on or off their property. Some RVs will have to remain outside, forced to endure the extremes that come with off-season weather. You need a solution to help keep it protected from the elements, and many RVers turn to tarps. Is using a tarp advisable or should you steer clear of covering an RV that way? 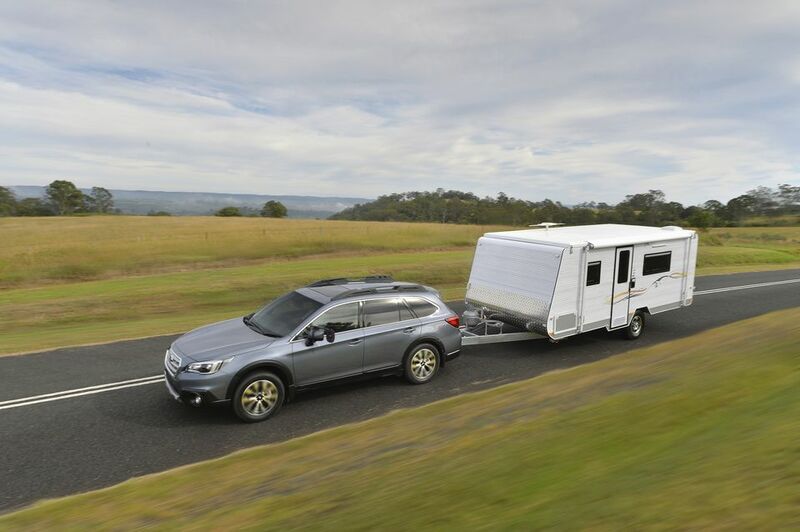 Let’s explore why you should cover your camper or trailer and the most efficient materials for doing it. So, Should You Cover Your Camper Trailer with a Tarp? You should cover your RV but not with the type of tarp you're thinking of. The traditional blue tarp is famous around the RV park and campground, but it may do more harm than good when used to cover your vehicle and here’s why. Traditional blue tarps are not breathable and can hold onto or trap moisture while your vehicle is stored. This moisture can leak into the RV or freeze and expand and can cause damage to your vehicle. Most people will also need to use bungees or ropes to secure the tarp to the vehicle. These ropes may shift and flap in the wind or rub against the RV body causing damage. The tarp itself may fray, shred, blow off, or shift, which can cause issues. By throwing a blue tarp over your RV, you may not be getting the protection it needs from the elements. By investing in an RV cover that protects your investment, you’re doing everything you can to keep your recreational vehicle in working condition. Attempting to wrap your entire vehicle in a blue tarp or tarps can be a headache. Unless you have an unusually small camper, you will need more than one tarp or a large tarp to cover everything. This means patchwork, tucking the tarp into tire wells and more bungees than you’d like to deal with. Using a covering for your RV is simple to slide on and covers all the different facets and features of your vehicle. Should You Cover an RV at All? Yes, you should! Covering an RV, if you don’t invest in proper RV storage, is essential to keeping it protected from the elements. RV covers, RV skirts, and other methods can be used besides the traditional tarp route. Here’s why you need to protect your RV when not in use. Covering your RV will help keep it from aging from the sun’s rays. The sun’s UV radiation can harm your ride by fading color, peeling paint, cracking components and more. Make sure your covering of choice will block out UV radiation, just because something blocks light does not mean that it blocks ultraviolet radiation. If your roof begins to buckle or crack, this not only looks bad, but it can cause issues with vents, AC units, and more on the top of your RV. RV-specific tarps are waterproof but still breathable. Millions of tiny pores are big enough to allow water vapor and moisture to evaporate off the RV body but too small for water droplets to penetrate. This means you don’t have to worry about condensation collecting below the covering and causing damage. This moisture can warp your roof. It can also breed mildew and mold in your awnings and slide outs. Should You Invest in RV Storage Instead? It’s worth pointing out that investing in proper RV storage throughout the year is beneficial for any motorhome or trailer. RV storage offers security and protection that can’t be matched by covering it in your backyard. While covering your recreational vehicle can help, if you want to protect your investment to the best of your ability, invest in RV storage to keep it safe from the elements. Depending on your property and where you live in the country, you can store your RV at home. You can either build a structure for it or park it on the side of your home. Make sure to check your city’s ordinances and/or HOA guidelines before doing so to avoid any issues with storing your RV on your property. Pro Tip: RV storage may be expensive in some cases but remember you bought your trailer or camper as a long-term investment. Consider how much longer it’ll last and what repairs you’ll avoid by investing in the right storage solution off-season or when not in use. These are some of the best reasons that you should find an appropriate covering for your camper and say no to big blue tarps. When it comes down to it, the money you invest in an RV should be protected, and that includes finding the right ways to weather the storm.